I recently posted a poll on Twitter asking who’s ever wondered what it would be like to stand on the summit of Everest. The mass majority had indeed wondered. And I think the numbers would be even higher if people weren’t probably reformatting the question in their mind to whether they would ever attempt it. I ask this question often in my talks to businesses and organizations since it’s an interesting one to ponder. Most people will raise their hands since it’s so intriguing to think about being up there. Even having been there alone on the summit in 2011, it’s still amazing to think back and continually process those brief moments spent on top. It’s the highest point in the world, standing at 29,035’ with only 1/3 of the air as there is down at sea level. It’s a place that very few will ever attempt and much less will succeed in achieving. 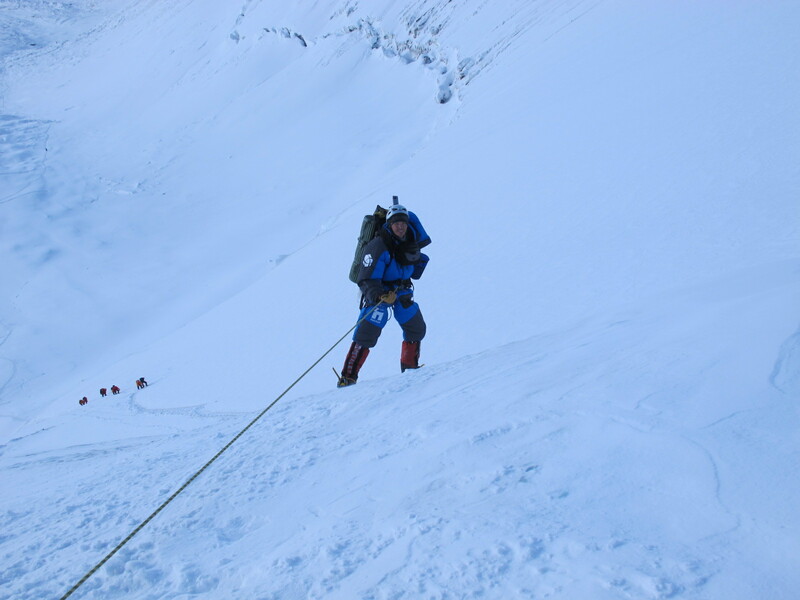 Mount Everest is a pinnacle goal for most mountaineers, but it’s not a possibility for most. And that’s totally fine since we are all wired uniquely and whatever adventures or fitness goals you have, own them and go after them at full force. The current state of the world is very unpredictable and it’s never been more true that you should live each day to it’s fullest. As 2015 comes to an end, the world’s population will look at the next year to make resolutions of things to stop and start doing. I will get a bunch of people asking if I’ll take them on local climbs, who will end up finding reasons to not follow through once the time comes. The fact of the matter is it’s easy to stimulate excitement in creating a vision of a better self but it’s very difficult to shift our busy schedules and habits to create a new adventurous and healthy lifestyle. I can provide as much guidance as possible but in the end it’s up to the individuals to create change. Most people are used to seeing my adventures, pics, video and motivational posts on social media. I’ve decided to end 2015 with a new agenda, to provide some simple guidance for 2016. Watch for my posts hashtagged #2016Goals over the next month. Look inward to identify what you want your future self to look like and then create goals and an action plan to make it a reality in 2016! Also subscribe to my YouTube channel to see new raw footage of my worldly adventures.